Great place to stay, Manager and staff were really helpful and friendly. Great location, very close to the popular spots, extremely resourceful manager Mr. Arun. The room was great -and the hotel was a good base to explore all the great sites around Nizwa. Anu provided a particularly warm welcome and a range of extremely helpful tips and suggestions upon our arrival. We were very grateful. Anu, the manager, gave us a very warm welcome! We had a 2 bedroom apartment. Everything was very clean, we had each our own bathroom, one even with bathtube. Staff was very friendly and helpfull! Location is easy to find. Quiet place. full equiped kitchen. supermarket near by. Location very good for daily trips to Jebel Akhdar. Great space in the room and very clean. The staff were excellent giving directions and being helpful in providing advice and organising a trip. The front of house staff were excellent. 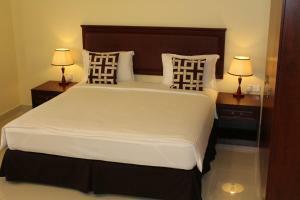 Friendly staff, early check in, laundry machine in the room, spacious room. 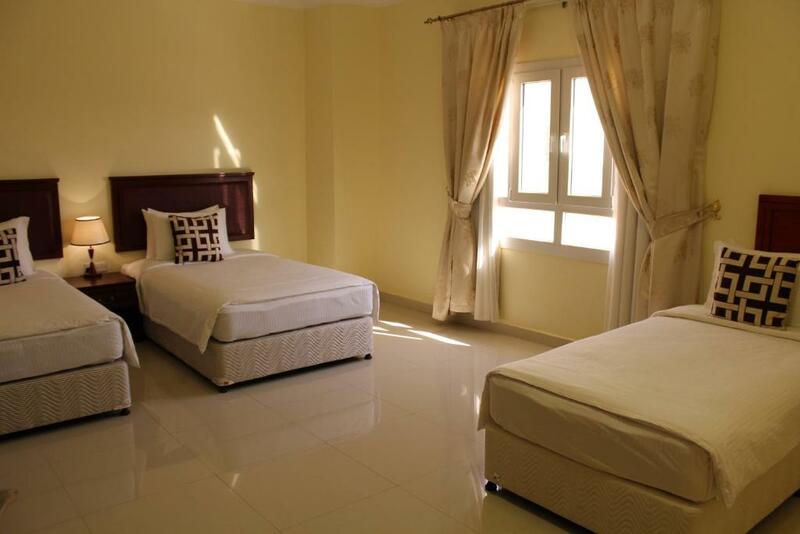 Lock in a great price for Nizwa Hotel Apartments – rated 8.6 by recent guests! 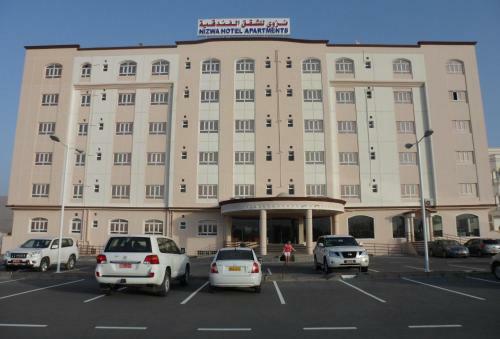 Located in Nizwa, Nizwa Hotel Apartments offers self-catering accommodations with a private kitchen. It features free Wi-Fi in all areas and a 24-hour front desk that arranges babysitting services upon request. All apartments are fitted with tiled floors and decorated in warm tones. Each one offers a living room, a dining table and an equipped kitchen. A bath is fitted in the bathroom. 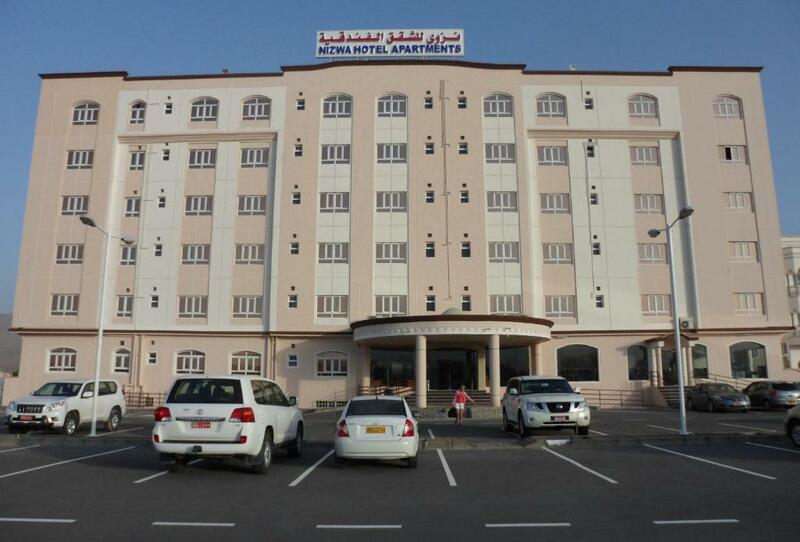 Guests can shop at the nearby mall which is a 2-minute drive away from Nizwa Hotel Apartments. Free private parking is possible on site. 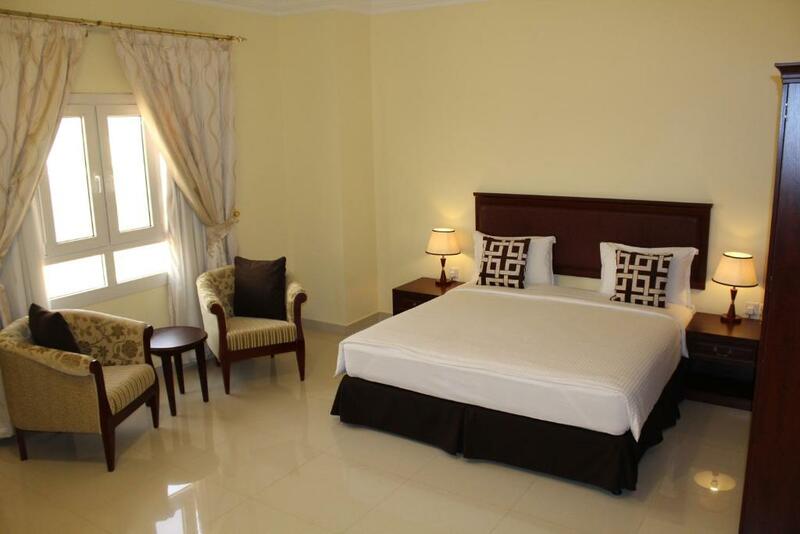 When would you like to stay at Nizwa Hotel Apartments? This air-conditioned apartment offers free Wi-Fi, a king-sized bed with an attached master bathroom, a living room with a flat-screen TV and a kitchen complete with an oven and a stove. Featuring a mountain view, it also includes a dining area and 2 bathrooms, each fitted with a bath. This air-conditioned apartment offers free Wi-Fi, a living room with a flat-screen TV and a kitchen complete with an oven and a stove. Featuring a mountain view, it also includes a dining area and 2 bathrooms, each fitted with a bath. Spacious Mountain Facing Deluxe Two Bedroom Apartment sleeps 4-5 max. One king-size bedroom with attached bathroom and the other room with three beds and an adjoining bathroom.Equipped kitchen and a contemporary living room. Large free parking. Free wi-fi internet. Spacious, modern & contemporary apartments. Excellent quite location in close proximity to all the sought after tourist attractions. Team endeavor to render best guest experience right from the arrival meet & greet to personal goodbyes !! Assisting guests in organizing their trips and suggest the dos & the donts'. Pleasant, quite and open area amidst the panoramic Hajjar mountains connecting the capital Muscat and all sought after destinations nearby. 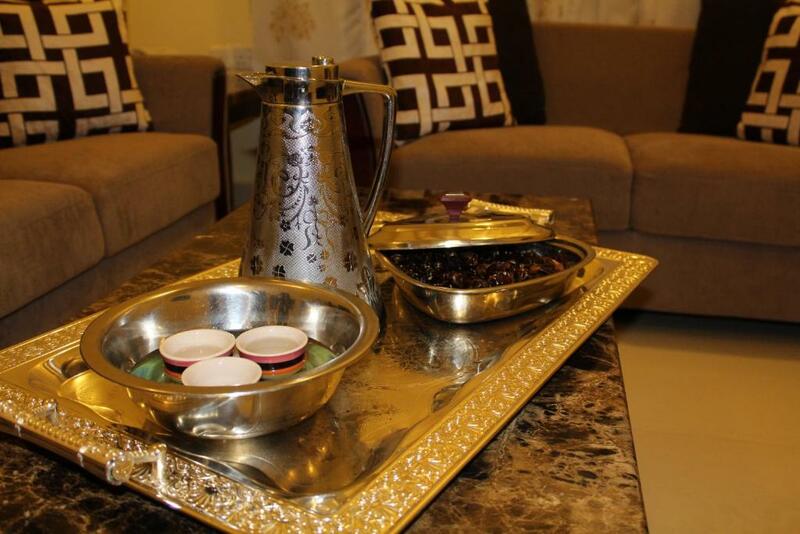 House Rules Nizwa Hotel Apartments takes special requests – add in the next step! One older child or adult is charged OMR 10 per person per night in an extra bed. 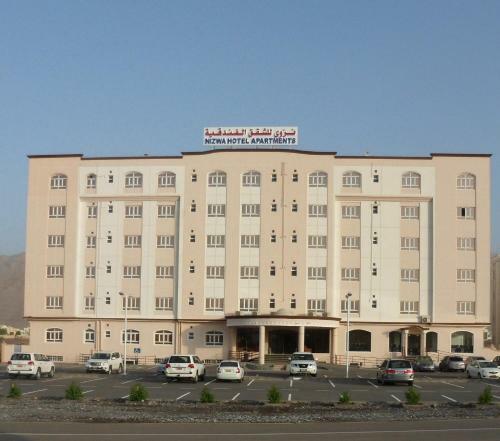 Nizwa Hotel Apartments accepts these cards and reserves the right to temporarily hold an amount prior to arrival. Please inform Nizwa Hotel Apartments of your expected arrival time in advance. You can use the Special Requests box when booking, or contact the property directly using the contact details in your confirmation. The hotel manager and his staff made us feel exceptionally welcome and took care of us like family members. Our 3 years old daughter was pampered like a little princess and she dearly enjoyed it! The apartment was perfectly equiped with everything. The location is perfect to visit Nizwa and Jabal Akhdar. A very friendly and knowledgeble owner welcomed us personally. We also received a complementary upgrade to a lovely suite. The room was very clean and had everything we needed. I recommend to review your prices..
Staff were very friendly, greeted us in the carpark and took all our luggage from the car to the room. Staff were very helpful in trying to make the most of our time in Nizwa by recommending good sights to see whilst there. Wifi was terrible - very difficult to get a connection. Connection was slow during the few times it worked. Breakfast is not worth the money for 6 OMR. Not much selection and marginal quality. Location is far from tourist attractions and shops - a car is recommended otherwise you'll have to hire a taxi. Sometimes a foul smell from floor drain in bathroom. 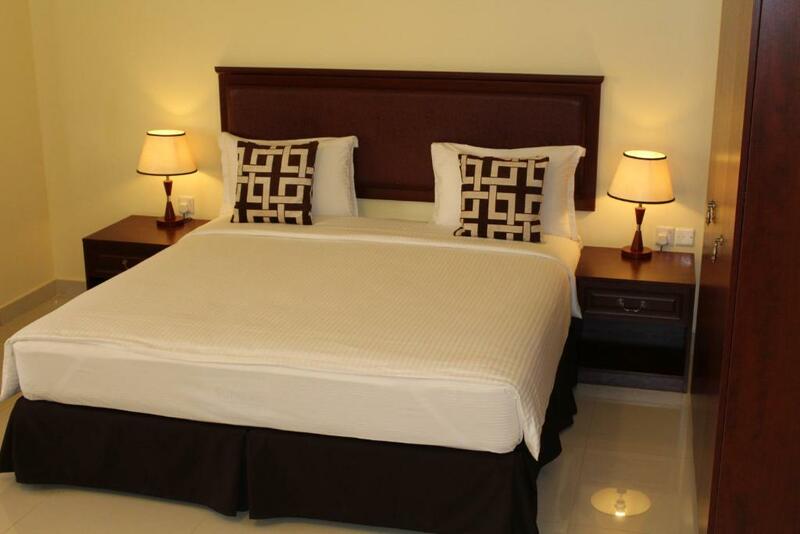 Apartments are large and comfortable, with kitchen, living room and in-room laundry facilities. Perfect for families. Comfortable bed. Quiet rooms. 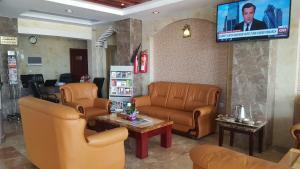 Reception staff and manager are friendly and helpful.